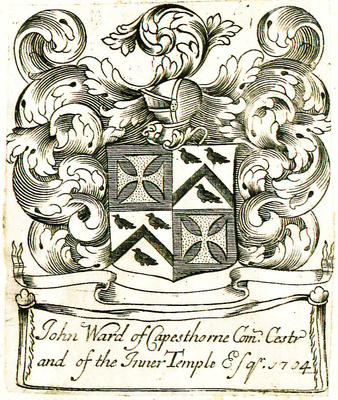 "John Ward of Capesthorne Com. Cestr and of the Inner Temple Esqr. 1704"